In a lovely shade of bronze pink, this chunky metallic sweater by Marina Rinaldi is one of our favourite pieces for the new season. 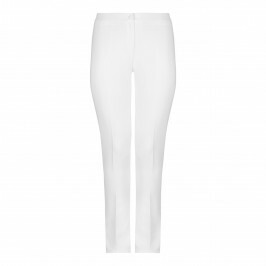 We'll wear ours over denims, moving on to white trousers when the sun is back. Metallic yarn sweater. 80% Viscose, 20% Polyester. Cold Hand Wash.